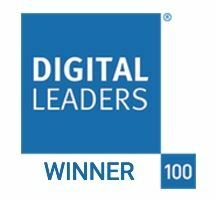 London – 27 June 2017 – UKCloud, the easy to adopt, easy to use and easy to leave assured cloud services company, has been named SME Digital Leader of the Year at the 2017 Digital Leaders (DL) 100 Awards. The award was presented to UKCloud CEO, Simon Hansford, and members of the team at a ceremony in central London on Thursday 22nd June 2017, which was attended by digital pioneers from across the UK’s public, private and non-profit sectors. The DL100 Awards honour the highest digital achievements of the past year, celebrating teams and individuals who are blazing a trail within the space. The Digital SME of the Year category recognises the contribution being made by small and medium sized organisations in developing digital services and products that underpin the UK’s economic growth. UKCloud was awarded the accolade as an organisation that has delivered direct impact in the UK public sector in the last 12 months. This latest award win closely follows UKCloud’s first Queen’s Award for Enterprise for Innovation. The Innovation category awards companies that go above and beyond in their area of expertise, and is designed for those offering a unique innovation. In recent months, UKCloud also won two awards at the 2017 UK Cloud Awards and was ranked number one in the latest Sunday Times Hiscox Tech Track 100, which lists Britain’s fastest growing private technology companies based on sales over the past three years.